The CCP Idea – Will a Central Counter Party Tame Derivatives Market Risks? 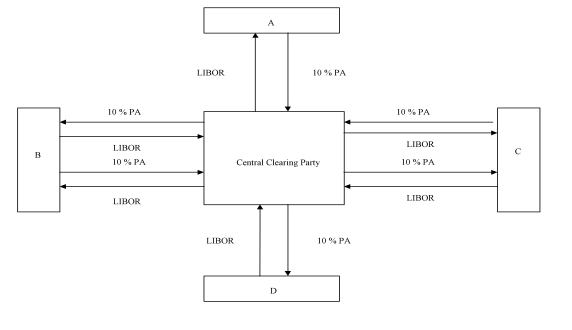 This four part paper deals with a key element of derivative market reform – the CCP (Central Counter Party). The first part looks at the idea behind central clearing of OTC Derivatives. 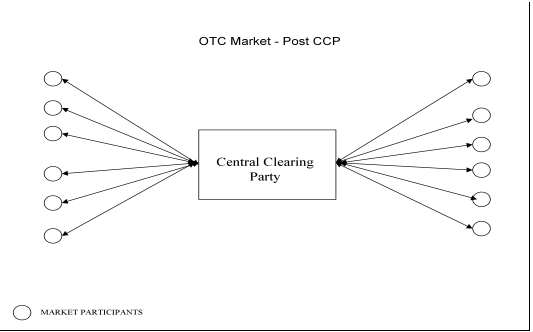 The key element of derivative market reform is a central clearinghouse, the central counter party (“CCP”). Under the proposal, standardised derivative transactions must be cleared through the CCP that will guarantee performance. The CCP is designed to reduce and help manage credit risk in derivative transactions – the risk that each participant takes on the other side to perform their obligations (known as “counterparty risk”). 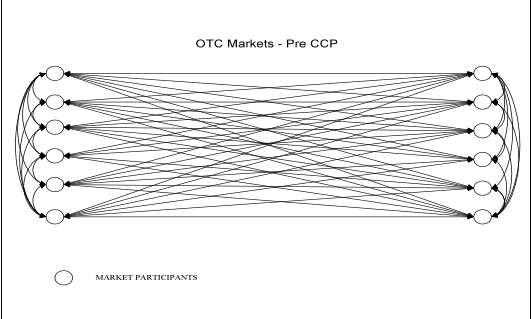 The CCP also simplifies and reduces the complex chains of risk that link market participants in derivative markets. The concept of clearing is not new or novel. It has been an integral part of futures and exchange traded derivative markets. Clearing for over-the-counter (“OTC”) derivatives has been discussed at various times since the mid-1980s. In traditional exchange traded derivative markets, the contract is standardised, listed and only tradeable on the exchange through member firms. Trading is subject to the rules of the exchange as well as general law. The framework facilitates trading, provides liquidity and transparent price information. Security of contractual performance is ensured by interposing the Clearing House (the equivalent of the CCP) between traders. Under the current proposal, traders enter into OTC derivative transactions, then novate or assign the contract to the CCP, which assumes the performance risk. The effect of the CCP is set out in the Diagram 1 below. The credit risk of the CCP is substituted for the risk of individual derivative counterparties. 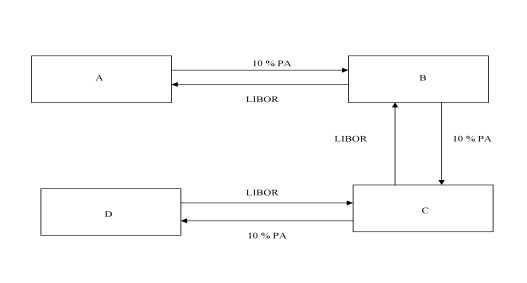 It simplifies the chains of risk in derivative transactions. For example, if there are 100 counterparties, then there are potentially 4,950 bilateral contracts. The CCP reduces this to only 100 bilateral contracts. The impact on the quantum of credit risk is set out in Diagram 2 below. The interposition of the CCP reduces the counterparty risk significantly. There is now a total of US$600 million of swaps outstanding. A and D have open positions while B and C have matched swaps on their books. A has risk of US$3.7 million on B. B has risk of US$3.7 million on C.
C has risk of US$3.7 million on D.
Market aggregate risk totals US$11.1 million. D has no risk to the clearing house. B and C have no risks as their payment streams cancel. A has risk of US$3.7 million to the clearing house. The total market risk falls dramatically with the interposition of the CCP.